What are the objectives of breast augmentation with breast implants? Breast augmentation is breast surgery that aims to increase and harmonise the volume of the breasts in relation to a patient&apos;s body shape. Breast augmentation is performed using breast implants (or breast prostheses), which are selected and positioned for each patient in a way that meets their individual needs. The optimum plan for each patient is established by the aesthetic surgeon (incision site, implant placement and type of breast implant). Are there alternative breast augmentation techniques that do not require the use of breast implants? Breast augmentation can also be performed using a fat transfer (injection of fat). Breast augmentation can also be hybrid in nature by combining the insertion of breast implants with an injection of fat. Small breast may be constitutional in origin (mammary hypoplasia), that is to say an insufficient development of the mammary gland, or acquired in origin (mammary hypotrophy) secondary to a pregnancy, breastfeeding or following hormonal changes that are unique to each woman. Three incision sites are possible for breast augmentations. One site is not better than another and the choice depends on the anatomical configuration of the breasts and the patient&apos;s wishes. The aesthetic surgeon determines the best plan for the breast augmentation during consultation. The breast augmentation is performed via an incision in the axillae (armpits). Breast augmentation performed via the axillae is to be avoided when the breasts are slightly sagging and the skin is flaccid. Dr. Victor Médard de Chardon uses the endoscopic axillary route: a breast endoscopy (camera) is introduced via the axillae and enables the breast to be worked on in a precise manner. The breast augmentation is performed via an incision at the inferior edge of the areola. Breast augmentation via the areolar route can only be performed on areolae measuring 3 cm or more. The scars are very high quality in 95% of cases and sometimes invisible (2.5%). Breast augmentation via the areolar route does not cause temporary sensitivity disorders of the breast and areolae any more than other surgical routes. This data comes from Dr. Victor Médard de Chardon&apos;s PhD thesis in Medicine on breast augmentation, University of Nice Sophia Antipolis – Faculty of Medicine. The breast augmentation is performed via an incision in the fold under the breast. Sub-mammary scars are better concealed when the breast has a slight, natural droop. For minor mammary ptosis, a breast augmentation using breast implants may suffice in improving the appearance of the ptosis. For moderate to severe ptosis, a breast augmentation using breast implants is combined with a breast lift to raise the breasts (mastopexy). Further information: breast lift. The optimum placement for the breast implants is chosen by the aesthetic surgeon depending on the anatomical configuration of the breasts. The breast implant is placed in front of the pectoralis major muscle. The advantage of a pre-pectoral breast augmentation is that the breast implant moves more naturally with the breast. The drawbacks are visibility (visible rippling and contours from the implant) and more significant palpability of the breast implants if the patient is very slim, as well as accelerated ageing of the breasts if the breast implants are too big. The breast implant is placed behind the pectoralis major muscle. The main advantages of a retropectoral breast augmentation are to conceal the contours of the breast implant and to reduce the extent of capsular contracture (formation of scar tissue or a "capsule" around a breast implant). It is particularly indicated in slim women. The drawback of a retropectoral breast augmentation is the moderate mobility of the breast implants on contraction of the pectoralis major. The upper pole of the breast implant is retropectoral (behind the muscle) and its lower pole is pre-pectoral (in front of the muscle). Dual plane breast augmentation combines the advantages of both pre- and retropectoral placements. There are two main shapes of breast implants: round implants and anatomical implants. Choosing the shape of the breast implant takes place depending on the patient&apos;s morphology, which is analysed by the plastic surgeon, and the look the patient wishes to achieve. Choosing the volume of the breast implant for a breast augmentation takes place depending on the patient&apos;s morphology, which is analysed by the plastic surgeon, and the look the patient wishes to achieve. Trying out the breast implants, looking at the results of similar surgeries and 3-D simulations of the final result help in making a choice on the volume for the breast implants. The breast implants chosen must not be excessive in volume due to the inevitable risk of progressive hardening of the breast tissue (accelerated ageing of the breasts). The outer wall of breast implants is a multi-layered external shell made from silicon. 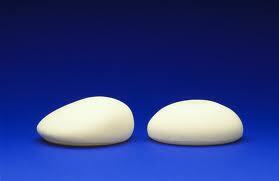 The characteristics of this shell enable it to radically limit the risk of the breast implant rupturing. Silicon implants currently represent the best choice. Silicon gel is supple, thus creating a more natural result. The lifespan of a silicon gel breast implant is around 12 years. The cohesivity enables the gel to be contained inside the breast implant in the event the outer shell ruptures. The carboxy-methyl-cellulose hydrogel-filled implant is an alternative to silicon gel breast implants. This "aqueous" gel is a viscoelastic and biodegradable gel. The consistency of these implants is similar to that of silicon gel implants. The lifespan of these implants is around 8 years. This concerns a saline serum which will be totally absorbed if the breast implant ruptures. The lifespan of these saline breast implants is around 8 years. The consistency of the physiological serum breast implants is firmer than the silicon gel or hydrogel implants. The lifespan of a silicon gel breast implant is around 12 years. However, it is not obligatory to change the breast implants after 10 years. Indeed, if there is no rupture of the breast implants during an imaging procedure and if the aesthetic result is still satisfactory, it is not necessary to perform a new breast augmentation to change the implant. An annual check-up of the breast implants is then performed. The lifespan of hydrogel breast implants is around 8 years. The lifespan of saline implants is around 8 years. The post-operative follow-up and dressings are fully supervised by Dr. Victor Médard de Chardon&apos;s team. Dual plane placements go from I to III depending on mammary ptosis.